With 2019 in full swing, a lot has been happening behind the scenes to further support and improve our quality of care in the centres. At Kindalin we have always sought to centralise our admin and support resources so Directors and Educators can spend more time engaging with the children. This year, 2019, we have ramped up these efforts with the establishment of a new and collaborative head office and the appointment of a Facilities Manager. Fittingly located in Dural, the suburb where Kindalin was born, the new space is home to our management, admin and support staff. We meet, share ideas and work together to provide better admin and facilities support to all of our centres. The Head Office may have only recently opened, but the ideas and localised teamwork from this location have given us a great start to 2019. We’re excited to introduce Miss Stephanie, our newly appointed Facilities and Project Manager. This is a newly created role within Kindalin that will enable us to further improve and refine the smooth running of our learning environments. 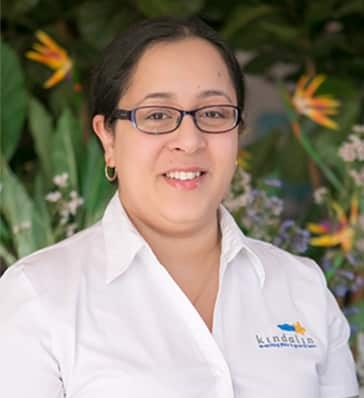 Miss Stephanie brings to us a depth of experience in facilities management honed at premium locations such as Australian Catholic University, Australia Square and Grosvenor Place. Her skill set is a welcome addition to our team. Welcome Miss Stephanie. We look forward to a big 2019. Save the date – Coffee Nights are coming soon! We celebrated our Heart & Soul… in Style!